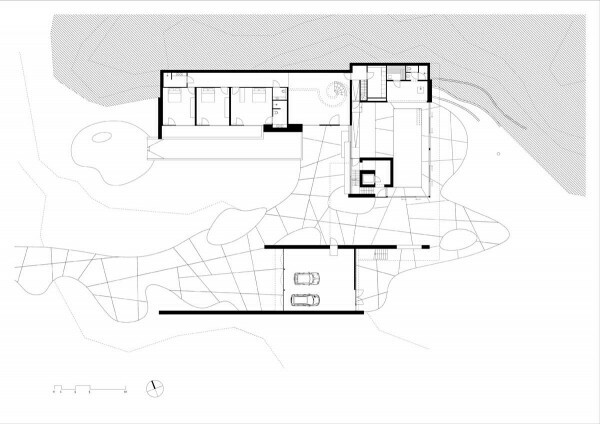 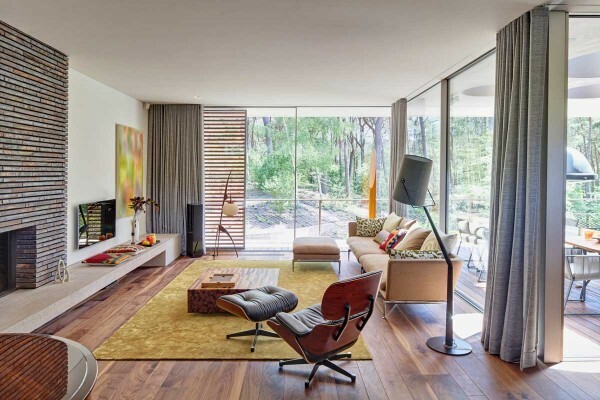 In a practical sense, not every home can be built under the canopy of a forest or on the shores of a beautiful beach. 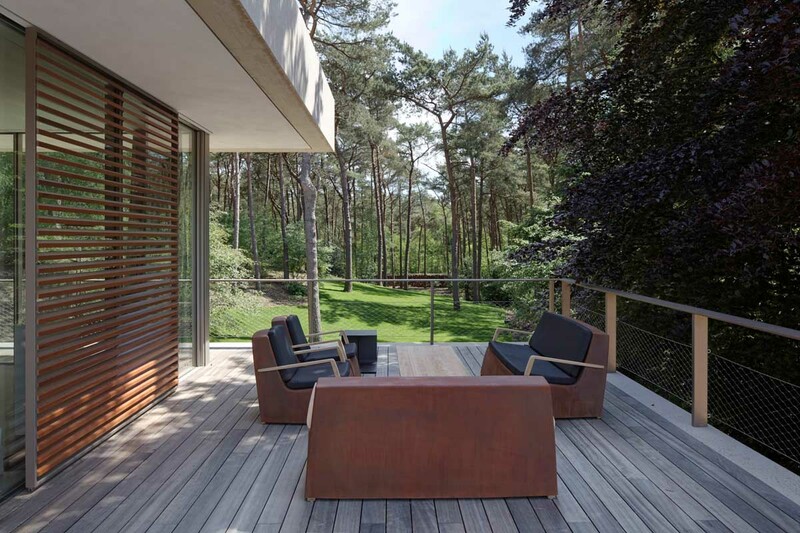 But when that opportunity does present itself, both homeowners and architects must fully embrace those lovely natural surroundings. 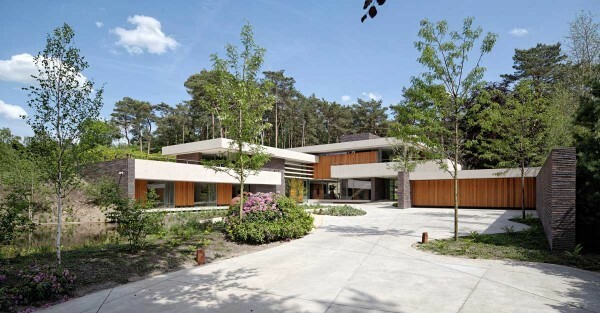 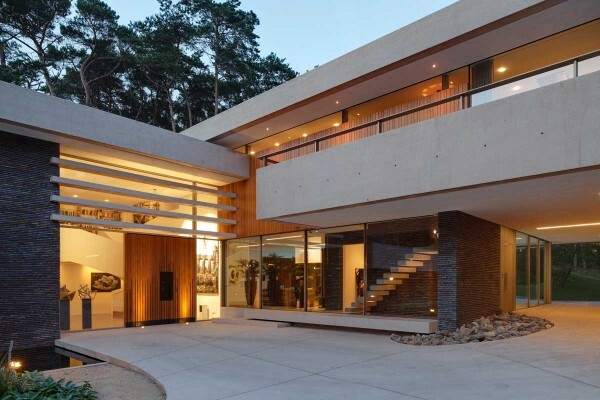 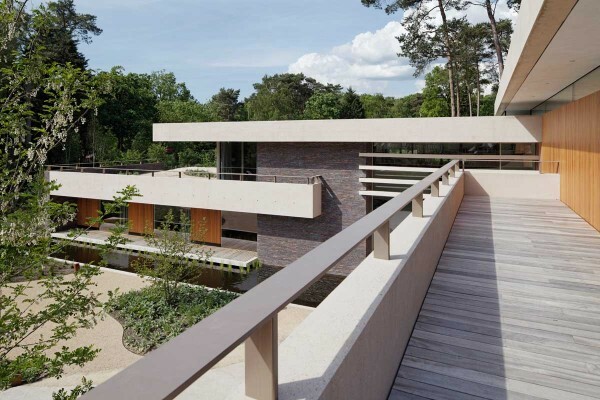 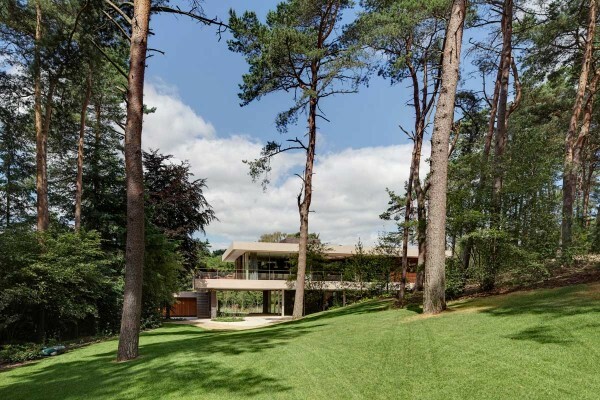 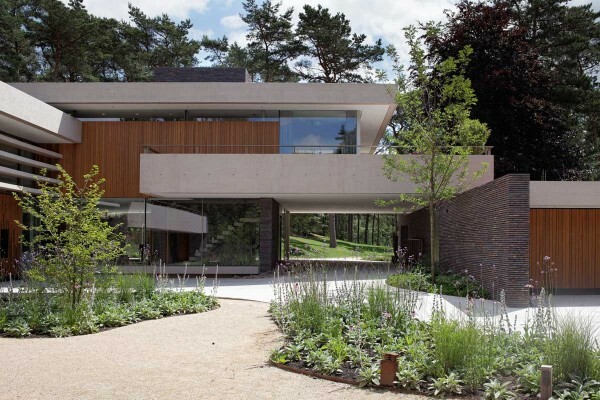 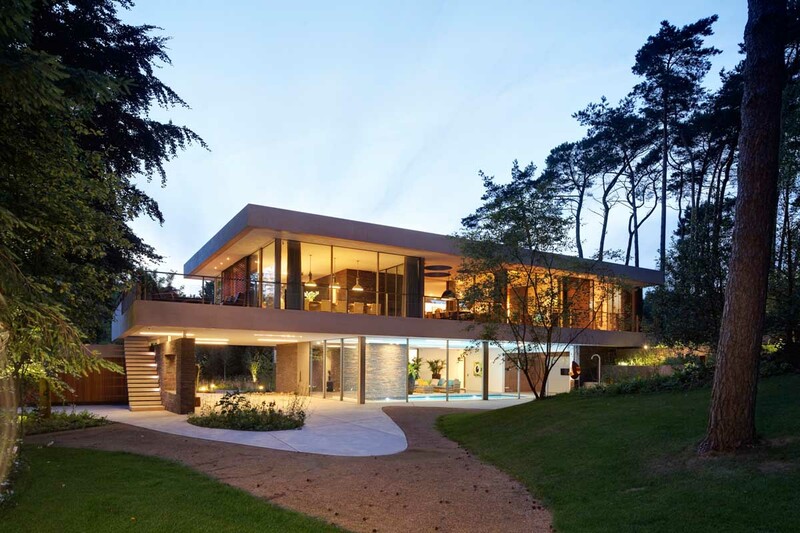 In this forest in the Netherlands, Hilberinkbosch Architects have been able to create a beautiful house that would turn heads in any environment. 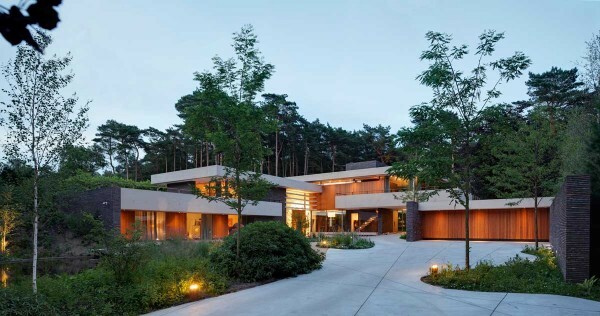 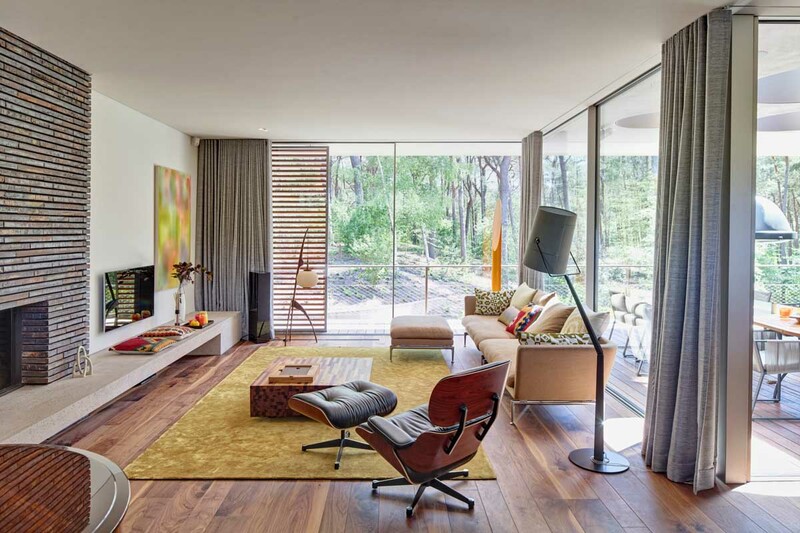 However, they have added elements and design features that do not only look beautiful, they purposefully co-exist with the surrounding forest for a home that feels safe, welcoming, and also distinctly natural. The exterior of the home utilizes large swaths of natural wood, which is softly lit at night for a gorgeous, warm effect. 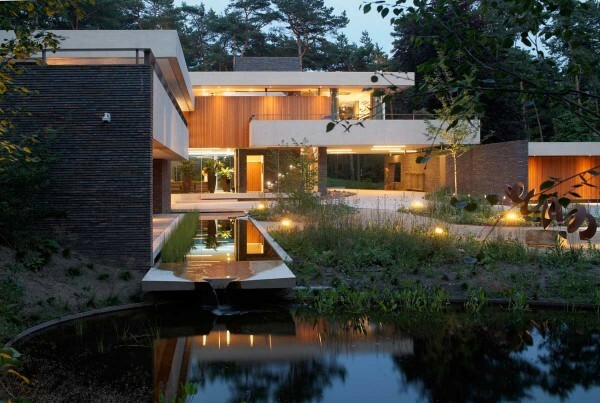 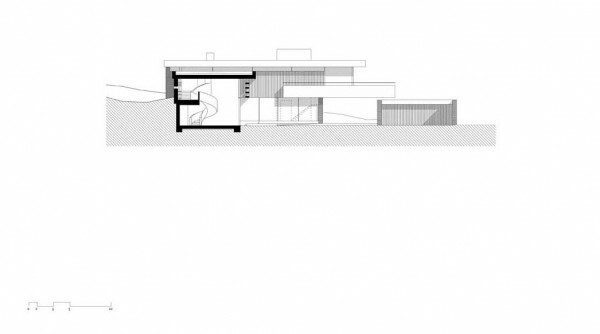 The architectural influences are subtle but certain with the team drawing inspiration from Frank Lloyd Wright, Mies van der Rohe and Zumthor. 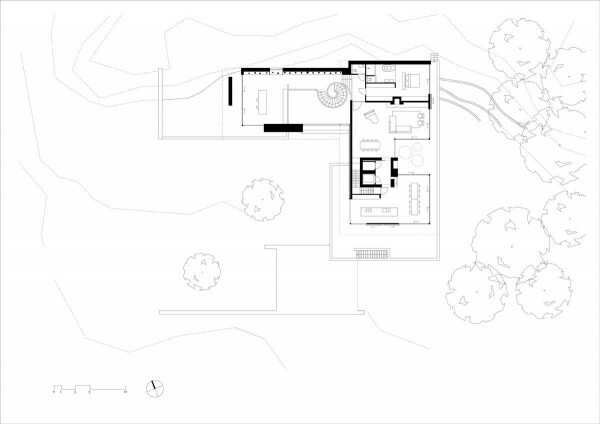 The house is set back from the road a significant amount, leaving plenty of space for an elaborate landscape design element in the front of the house. 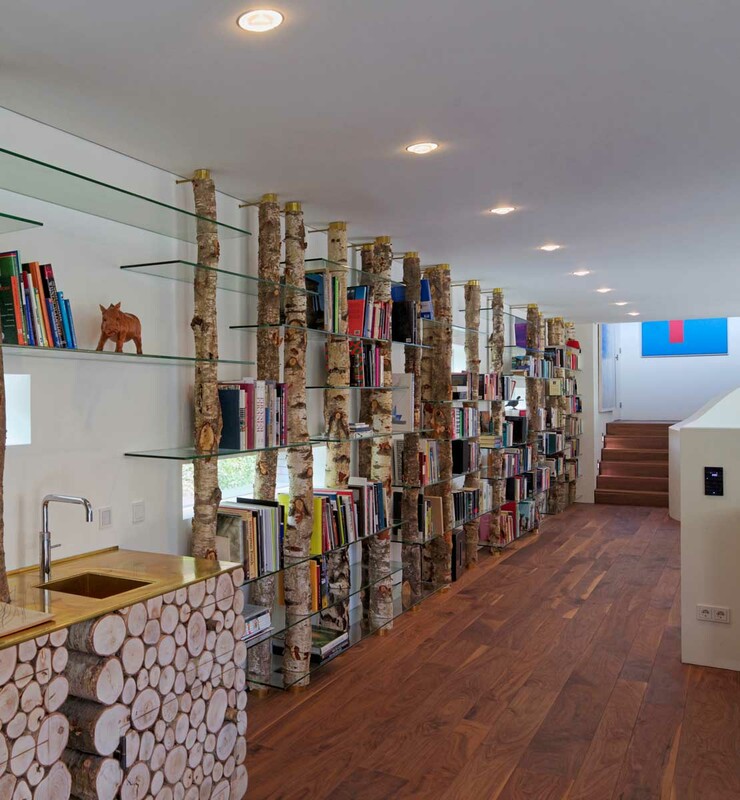 The natural woods work in concert with the imported vegetation, creating both privacy and instant calm. 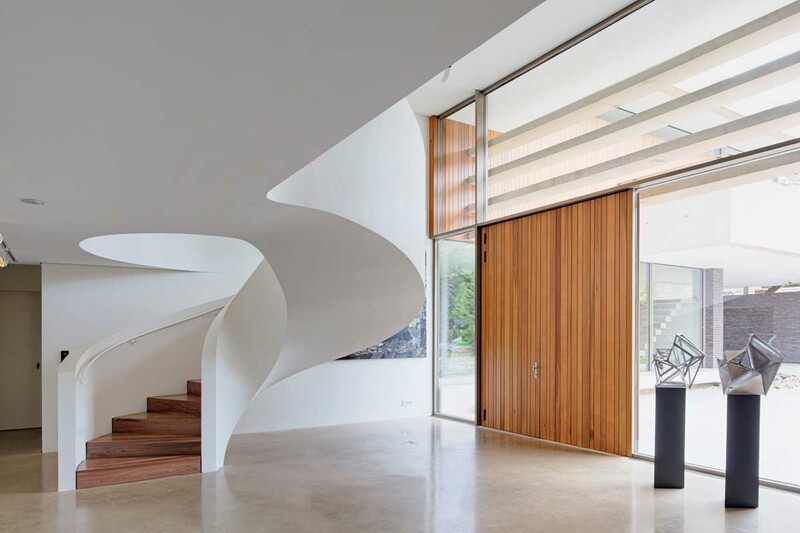 A dramatic spiral staircase in the house’s entryway connects to the two floors, although there is also an elevator for easy access. The simplicity of the interior is a testament to the architects’ dedication to connecting the home to its location. Truly this exactly home could not exist anywhere but here. 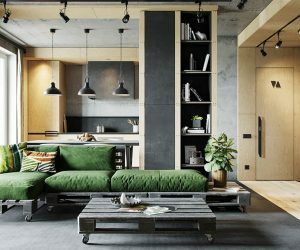 Inside, the main living areas of the house are situated on the upper level, including a living room, kitchen, terrace, library, master bedroom, and study. Because the upper floor is level with the surrounding forest, the inclusion of large, unobstructed windows allows for an immersive experience of nature. 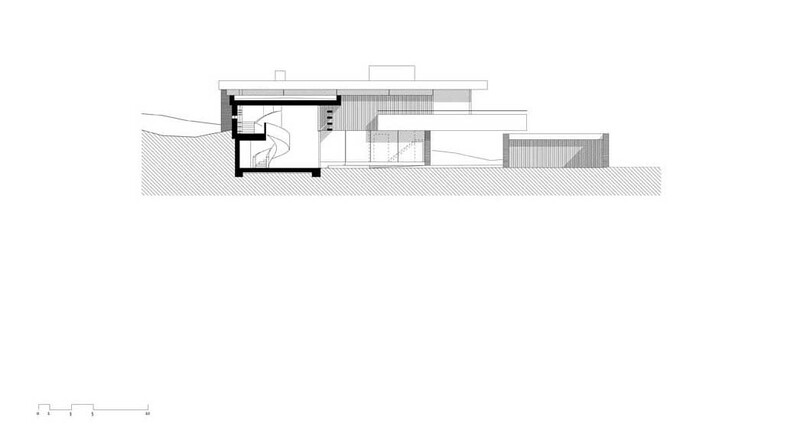 On the ground floor of the house are more bedrooms and a swimming pool. Rather than allow an outdoor pool the languish during the colder months, the architects have built surrounding glass walls that easily open and close with the push of a button. 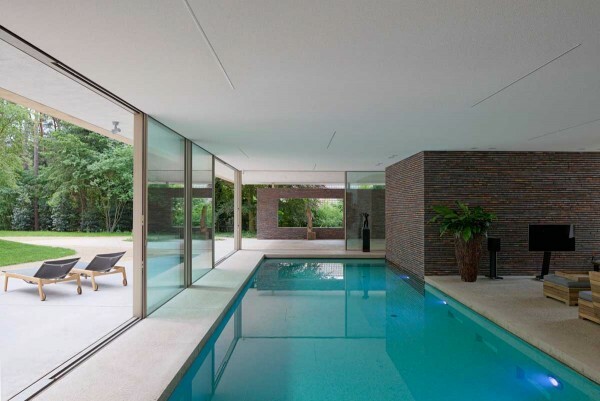 This means residents can swim comfortably, feeling surrounded by trees, at any time of year.